A team led by scientists at the Department of Energy's SLAC National Accelerator Laboratory combined powerful magnetic pulses with some of the brightest X-rays on the planet to discover a surprising 3-D arrangement of a material's electrons that appears closely linked to a mysterious phenomenon known as high-temperature superconductivity. "This was totally unexpected, and also very exciting. This experiment has identified a new ingredient to consider in this field of study. 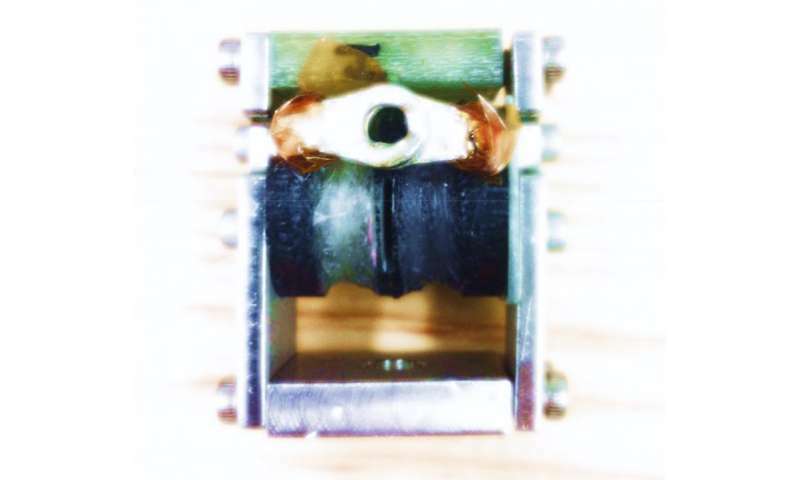 Nobody had seen this 3-D picture before," said Jun-Sik Lee, a SLAC staff scientist and one of the leaders of the experiment conducted at SLAC's Linac Coherent Light Source (LCLS) X-ray laser. "This is an important step in understanding the physics of high-temperature superconductors." The 3-D effect that scientists observed in the LCLS experiment, which occurs in a superconducting material known as YBCO (yttrium barium copper oxide), is a newly discovered type of 'charge density wave.' This wave does not have the oscillating motion of a light wave or a sound wave; it describes a static, ordered arrangement of clumps of electrons in a superconducting material. Its coexistence with superconductivity is perplexing to researchers because it seems to conflict with the freely moving electron pairs that define superconductivity. The 2-D version of this wave was first seen in 2012 and has been studied extensively. The LCLS experiment revealed a separate 3-D version that appears stronger than the 2-D form and closely tied to both the 2-D behavior and the material's superconductivity. Those short but intense magnetic pulses suppressed the superconductivity of the YBCO samples and provided a clearer view of the charge density wave effects. They were immediately followed at precisely timed intervals by ultrabright LCLS X-ray laser pulses, which allowed scientists to measure the wave effects. "This experiment is a completely new way of using LCLS that opens up the door for a whole new class of future experiments," said Mike Dunne, LCLS director. 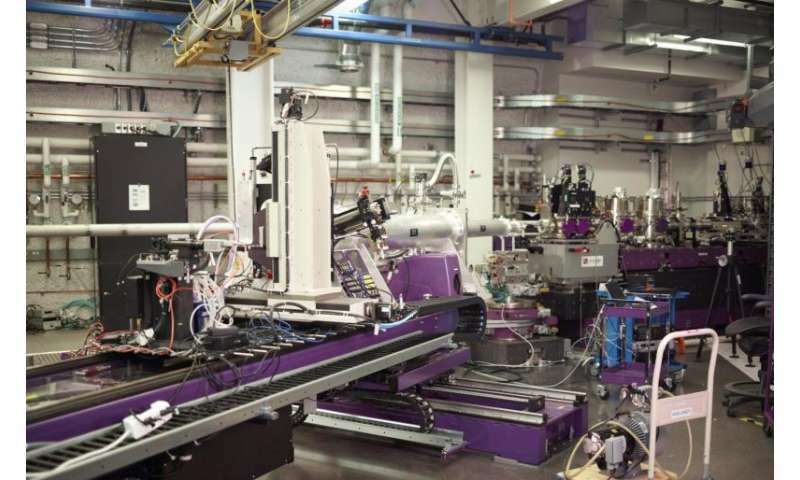 Researchers conducted many preparatory experiments at SLAC's Stanford Synchrotron Radiation Lightsource (SSRL), which also produces X-rays for research. LCLS and SSRL are DOE Office of Science User Facilities. Scientists from SIMES, the Stanford Institute for Materials and Energy Sciences at SLAC, and SSRL and LCLS were a part of the study. "I've been excited about this experiment for a long time," said Steven Kivelson, a Stanford University physics professor who contributed to the study and has researched high-temperature superconductors since 1987. Kivelson said the experiment sets very clear boundaries on the temperature and strength of the magnetic field at which the newly observed 3-D effect emerges. "There is nothing vague about this," he said. "You can now make a definitive statement: In this material a new phase exists." The experiment also adds weight to the growing evidence that charge density waves and superconductivity "can be thought of as two sides of the same coin," he added. Follow-up experiments are needed to provide a detailed visualization of the 3-D effect, and to learn whether the effect is universal across all types of high-temperature superconductors, said SLAC staff scientist and SIMES investigator Wei-Sheng Lee, who co-led the study with Jun-Sik Lee of SSRL and Diling Zhu of LCLS. "The properties of this material are much richer than we thought," Lee said. "We continue to make new and surprising observations as we develop new experimental tools," Zhu added. This excellent new work by SLAC is consistent with my hypothesis--that Winfree's law applies widely to physics and drives all or most of the emergent behaviors in physics. At its core, Winfree's law is about the mechanism of self-organization, and the specific patterns that will arise in instances of self organization. 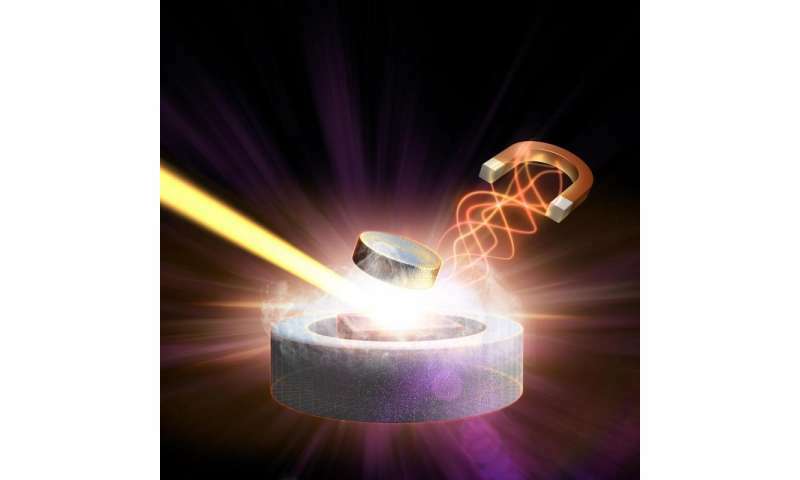 Most of my Physorg posts apply to high temp superconductivity. Here, we see once again that YBCO is particularly adept at self-organization of clumps of its electrons. I propose that Winfree's law is the Occam's Razor that underlies all of these intriguing YBCO phases. If you're truly interested in proposing a real "hypothesis," please do feel free to work through the current understanding of physics first, so you can see how exactly it works and how your theory differs. Make sure you cover classical field theory, quantum field theory, and so on. Otherwise, simply stringing together scientific sounding words may sound like a scientific theory, but a pretty story does not science make. Thanks Shavera for reading my post and thanks also for the challenge. Let's start with Maxwell--classical. You'll note that the electric field and the magnetic field are both periodic oscillations. Their two waves are obviously precisely in sync with each other. You will also notice that these two fields (electric and magnetic) are precisely orthogonal to each other. Thus, each field is precisely anti-sync to the other field. So, to recap, they are both periodic oscillations (one electric and the other magnetic), which is the stuff to which Winfree's law applies. They are a two oscillator system. They are obviously coupled to each other. And their coupling is expressed in both of the ways that Winfree predicts for a two oscillator system. Al of this is so clear, and so obviously consistent with Winfree's law in every respect, that I assumed no such explanation was necessary. My apologies to you. Are you familiar with Occam's Razor? Shavera you asked me also to address quantum field theory. As you know--I think--Dirac proposed that the quantization of the electromagnetic field arose from an ensemble of harmonic oscillators. That's right--oscillators. QED by Feynman and many others then developed the beautiful math that flowed from that foundation. Winfree's law applies to all systems of periodic oscillators. He applied his theory in biology, not physics. To my knowledge, I am the only one who has applied it to physics, which I have done publicly in many physorg posts since at least 2010. The quantum view of physics is due to Planck's work 115 years ago. In my opinion, Planck's quantum of energy is itself a periodic oscillation. (Feel free to attack me there, Shavera.) And if so, then Winfree's law must apply broadly to physics, starting with the periodic table of the elements, and then extending, e.g., to phase transitions, including quantum phase transitions. Shavera, you also say: "...work through the current understanding of physics first, so you can see (sic; I believe you mean others can see) how exactly it works and how your theory differs." As you can see from my two prior posts, my theory is not different from the current understanding of physics. I accept and embrace the canons of theoretical physics. What is different about Art Winfree's theory is that it is exceptionally well suited to understanding emergent behavior; whereas physics is primarily reductionist in perspective. Physics has been notoriously unsuccessful in deciphering the emergent phenomenon of high temperature superconductivity. Few physicists are aware of Winfree. Your own post makes this point quite well, inadvertently. . Twenty nine years have elapsed since HTS burst on the scene. One would think that physicists might be receptive to laws of self-organization that have been well vetted by mathematicians and biologists. I have no idea how superconductivity works, but suspect we could see superconducting transformers in generation plants and substations before we see miles of transmission line. We have had SMES for a long time. CERN seems to work well with its superconducting magnets. Why are they perplexed to find that SC does not occur by means of "freely moving" electron-pairs but by localised charge-carriers which form a static array within the SC material? When a SC current flows these stationary charge-carriers jump by means of quantum fluctuations. This model has been used to fit data perfectly to all types of superconductors: From lead, to YBCO, to p-type diamond etc. See chapter 23 of The Physics Delusion by Prins. In the case of lead it perfectly models inelastic neutron scattering data that cannot be modelled by the BCS model.